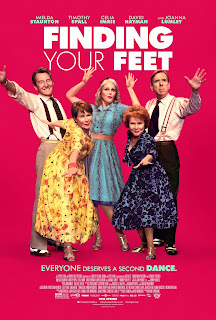 Home » Past Screenings » FINDING YOUR FEET Advance Screening Passes! FINDING YOUR FEET Advance Screening Passes! 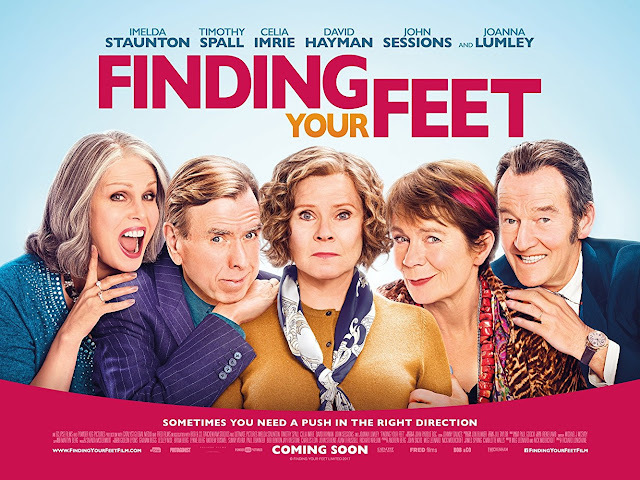 Do you want to see FINDING YOUR FEET before anyone else? Learn how you can see an Advance Screening to see it before anyone else. When ‘Lady’ Sandra Abbott (Academy Award nominee Imelda Staunton, Maleficent, Vera Drake) discovers that her husband of forty years (John Sessions) is having an affair with her best friend (Josie Lawrence) she seeks refuge in London with her estranged, older sister Bif (Celia Imrie, The Best Exotic Marigold Hotel, Bridget Jones’ Baby). The two could not be more different — Sandra is a fish out of water next to her outspoken, serial dating, free-spirited sibling. But different is just what Sandra needs at the moment, and she reluctantly lets Bif drag her along to a community dance class, where gradually she starts finding her feet and romance as she meets her sister’s friends, Charlie (Timothy Spall,Mr. Turner, Denial), Jackie (Joanna Lumley, Absolutely Fabulous) and Ted (David Hayman, Queen and Country). This colorful, defiant and energetic group start to show Sandra that retirement is in fact only the beginning, and that divorce might just give her a whole new lease on love and life. FINDING YOUR FEET is coming to a theater near you March 30, April 6 and April 13..